There’s little in the way of good news for riders in the latest road safety report from An Garda Síochána which shows fatalities trending upwards from the record lows achieved over the past few years. Of course not all accidents involving another vehicle are the fault of that other vehicle, and it goes without saying that there are still one in four fatalities which resulted from single vehicle collisions. More than half – (52%) – of the fatal collision involving a motorcyclist occurred on a Saturday or Sunday afternoon, typically from midday to 6pm. 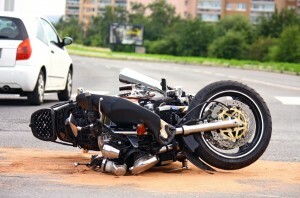 July was the worst month for motorcyclist fatalities in both 2011 and 2012. 75% fatal collisions involving a motorcyclist occurred on a regional or local road. 72% of fatal collision were outside built up areas – in 80 km/h or 100 km/h speed limit zones. MAG Ireland has consistently worked to improve motorcycle safety, and continues to promote the benefits of post-test and advanced rider training. The fact is that trained riders have fewer accidents, in part because they are better able to anticipate and assess risks, and in part because they have better machine control. Riding a motorbike can be an incredible experience because of the great sense of freedom it gives, but as a motorcyclist you are more vulnerable. You need to recognise this and understand that with power comes responsibility. Attempting to use the full potential of a powerful machine on today’s busy roads is stupid, selfish, and dangerous. Your attitude towards riding your motorcycle is absolutely critical in determining the likelihood of you having a crash. I would urge anyone who has never received any formal motorcycle training to do so with one of the many Approved Motorcycle Riding Instructors around the country. A list of trainers can be found on rsa.ie. 4 out of 5 of all fatal motorcycle crashes over the last two and a half years involved other drivers so we’re urging all drivers to check their mirrors carefully and watch out for bikers, particularly at junctions and when making right turns. During the summer, there are more bikers, scooter and moped users on the roads so please be extra cautious when using the roads. We really can’t stress enough the importance of getting proper gear when riding. MAG Ireland’s aim is to ensure that biking is a fun and enjoyable activity, but most importantly, safe. And to be safe, you need to be prepared. If you could see the types of injuries you can get by not wearing protective gear, you wouldn’t risk it. So if you’re biking, no matter how sunny or warm the day, remember it’s all the gear all the time! We have included details of PPE on the MAG Ireland smart phone app which is free to download from App Store and Google Play markets, the app also includes details on RSA approved motorcycle training centres. MAG Ireland has this morning issued a press release in relation to the report. Our concerns in relation to the high number of collisions involving other vehicles are shared by statutory bodies like the RSA and the Gardai with whom we continue to engage in order to promote motorcycle safety and awareness among all road users. After a decade of improvement, Irish motorcyclist fatalities are trending upwards. Three out of four involve another vehicle.